Whenever Head of Google Webspam Matt Cutts comes out with a video explaining something about SEO, it’s worth watching, at least at some point. Of the 510 videos he’s created, many of them really do offer great (some of the best) SEO advice, but it’s, unfortunately, getting buried by time. For future success and furthering your SEO knowledge, it’s important to bring back some of Cutts’ advice from years ago that still rings true today. Matt Cutts: Do ‘Good Guys’ Finish Last in SEO? I’m pretty sure when I posted a comment here yesterday, it turned my link automatically into a hyperlink, which was unintentional (I was just trying to show you the you-inspired post I wrote). So it probably went down as spam. Anyways, the essence of what I was saying was: thanks for these weekly round-ups. They’re super useful! And also: I got round to knocking up that blog post inspired by your 202 bitesized tips. Only got to 75 bitesized copywriting tips and then ran out of steam (you have more stamina than me obviously).  But of course I gave you and Traffic Generation Cafe a big shout out. You can see it at the top of the blog on our site, which I won’t make the mistake of linking too this time! Don’t worry about the link, Konrad, and you already know I loved your post. Hey Ana, these weekly round ups are pretty darn useful! Have you got any tips for someone (i.e. me) wanting to do a similar kind of weekly piece? By the way… remember I said I’d do a blog post inspired by your 202 bite-sized tips? Well I’ve only gone and done it! Thanks for doing your thing! Great to know all the things and hoping to catch all the others that I previously missed. You are very welcome, Frank. Thanks for the mention Ana. And for dropping by to my blog too. Good to see you round the blogs again! Always look forward to your weekly roundups because they contain SO much of information for us. Good homework for us for the weekend I’d say. I didn’t know about the Facebook changes so that was something I learnt from your share, and also a lot about Matt Cutt’s recent videos. You are so very welcome, Harleena; always a pleasure to see you at TGC.